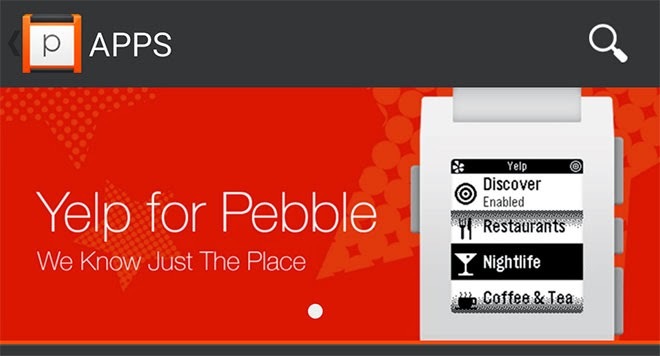 The anticipated Pebble Appstore that was announced at CES 2014 is now live. It provides a unified place for developers to distribute their Pebble apps and packs over 1000 apps and watch faces at launch. Initially, the store launches for iOS only, but the Android version will follow shortly after. The app store features separate categories for apps and watchfaces – Daily, Tools & Utilities, Notifications, Remotes, Fitness, and Games. Pebble has managed to get some big names working on its apps – MercedesBenz, Pandora, ESPN, Yelp, Foursquare, GoPro and iControl. Myriam Joire, who’s a Product Evangelist at Pebble, says that the Android version of the Pebble Appstore is under development and will come very soon.